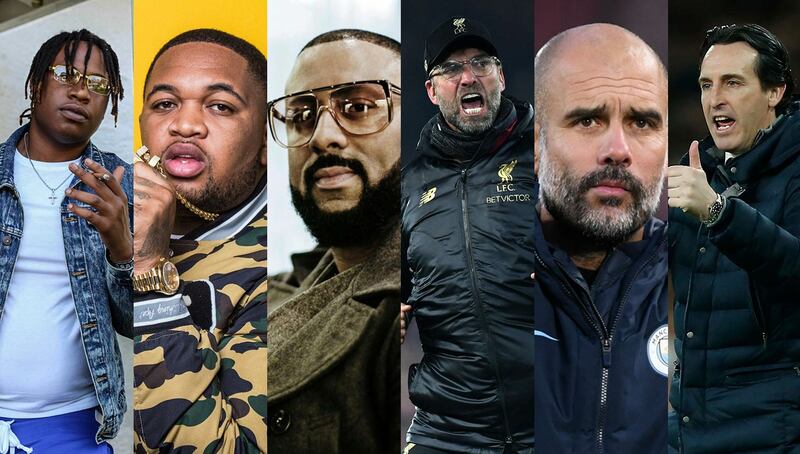 Whether they’re orchestrating a game plan on the pitch or a beat in the studio, there are a few, albeit not always obvious similarities between football managers and hip-hop producers. 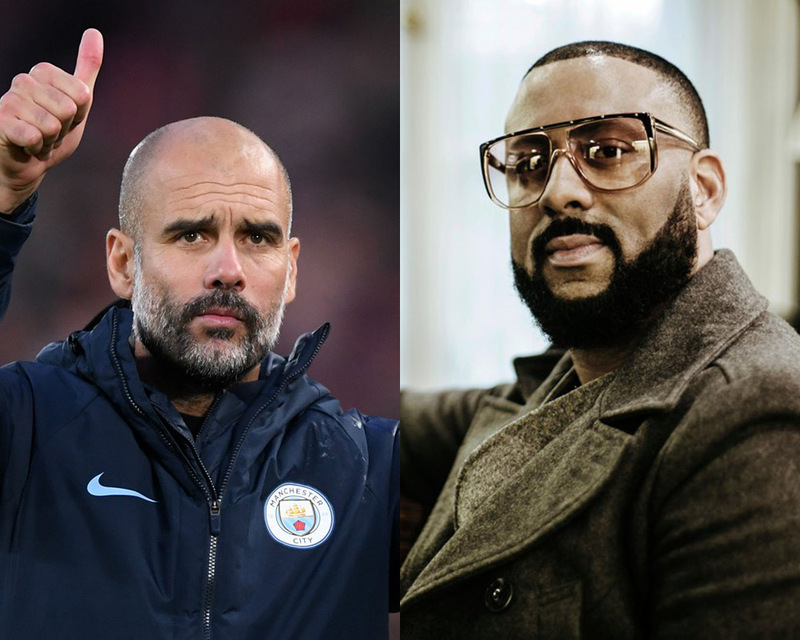 From Jurgen Klopp and Tay Keith’s unparalleled energy to Pep Guardiola and Madlib’s longevity and influence, we compare some of the Premier League’s most well-respected gaffers to the rap game’s most prolific beat makers based on managing style, personality, and cerebral strategies. At his peak, DJ Khaled was not so different from the suit-clad tacticians that stroll the touchlines of the Premier League. With Rick Ross as his marquee player, Khaled coated his walls in platinum records by being an expert roster builder and a master of cohesion, continuously and effortlessly squeezing the hottest verses from the top rhymers in the game. 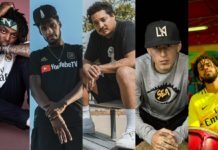 As hip-hop has evolved into the world’s most adored genre, more manager-like producers have risen to the fore, driving the culture with signature drum sounds and calculated collaboration. 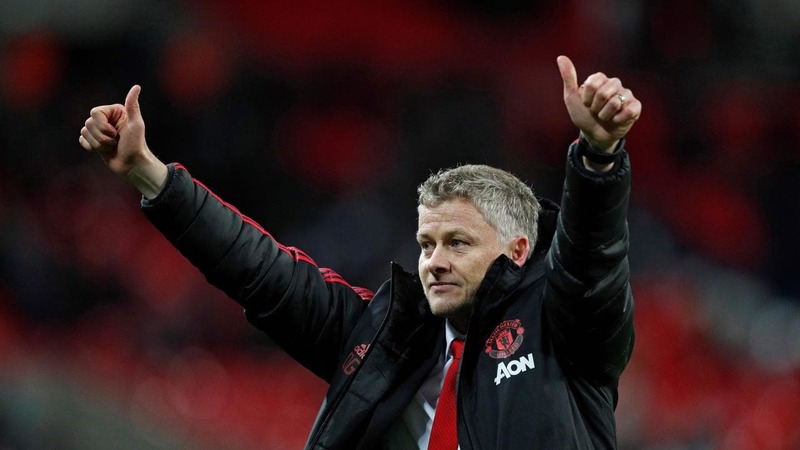 Meanwhile, England’s top flight has experienced a managerial renaissance, with a full slate of successful, unique, and at least semi-stable top six gaffers at the helm. It’s time that these two expanding worlds collide. 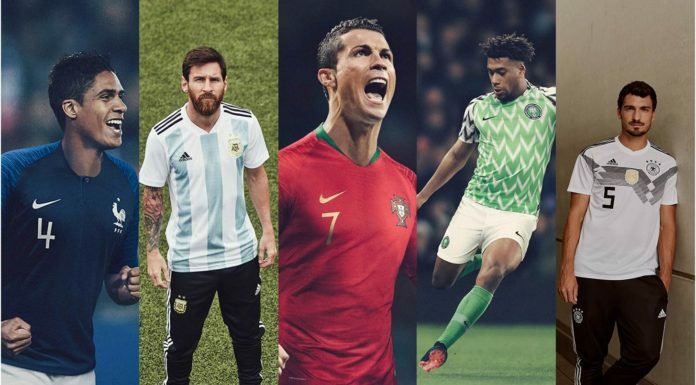 We’ve matched popular hip-hop producers to their Premier League counterparts to show once again how and why music and football mirror one another. Very few coaches have a style so refined, so respected, and so unerring that it gets its own moniker. Sarri-ball’s rigidity — best seen in N’golo Kanté’s migration from his career-defining position at center defensive midfielder to central midfielder — aligns perfectly with Metro’s producer tag. And like Metro Boomin, the chain-smoking Italian boss has been instrumental in the definition of several careers. Just as 21 Savage was brought out of the shadows in 2016 with the collaborative Savage Mode (and a newly popularized delivery along with him), Sarri’s investment and loyalty to Jorginho has him suddenly in same breath as players like Luka Modric. 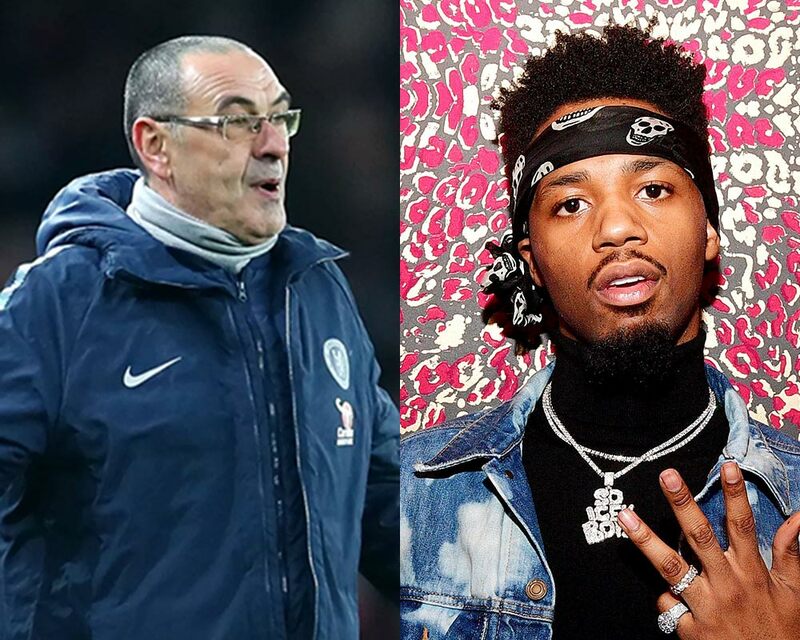 The only thing separating the two is titles — Metro Boomin is 51-times RIAA platinum and Sarri, although decorated with personal accolades, is still seeking his first major trophy as a manager. Maybe the arrival of Gonzalo Higuain will throw Chelsea a bone, and there’s no shame in that. After all, Metro got a little help from Migos, Future, Drake, and man-of-the-moment Post Malone to reach the hip-hop pinnacle. Nobody in world football has more charisma than the man who borrowed the Cheshire cat’s smile. Watching the New Balance-clad Klopp manage is like watching a fan seeing their favorite artist for the first time in concert, a bundle of human joy and dad-testosterone thrashing about for 90 minutes. Although he’s been in the game far longer than debutant producer Tay Keith, the pair are undeniably champions of the people. Their high energy, hits-only mentality is infectious — nobody can get a club excited like “Nonstop” and gegenpressing. They are also both best known for an iconic trio. 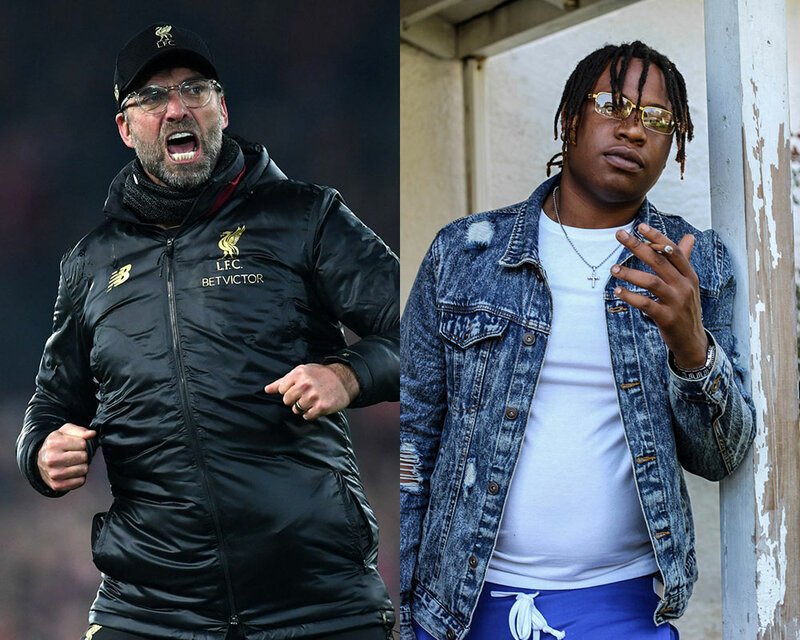 For Klopp, the barbed trident of Sadio Mane, Mo Salah, and Roberto Firmino has consistently been the best ticket in football, while Tay Keith’s twisting triad of feels in Travis Scott’s ubiquitous “Sicko Mode” has been a club anthem since its release. Regardless of the success (or lack thereof) ahead of them, they have already solidified sturdy homes in the hearts of most. Here’s a challenge — find to a chart-topping hip-hop record from 2013 that doesn’t have DJ Mustard’s signature “hey!” on each and every up beat. While DJ Mustard was dominating the hip-hop sound, a certain Basque-born manager was monopolizing the Europa League with Spanish bridesmaids Sevilla. Once Emery’s side first lifted the trophy in 2014, they refused to put it down until his departure to Paris after the 2016 season. Despite these similarities, it is reinvention and redemption that unites these two. Their unparalleled success was followed by a forgettable (if not embarrassingly unsuccessful) 2017 — DJ Mustard only produced a single song and PSG — well — if you don’t know, now you know. 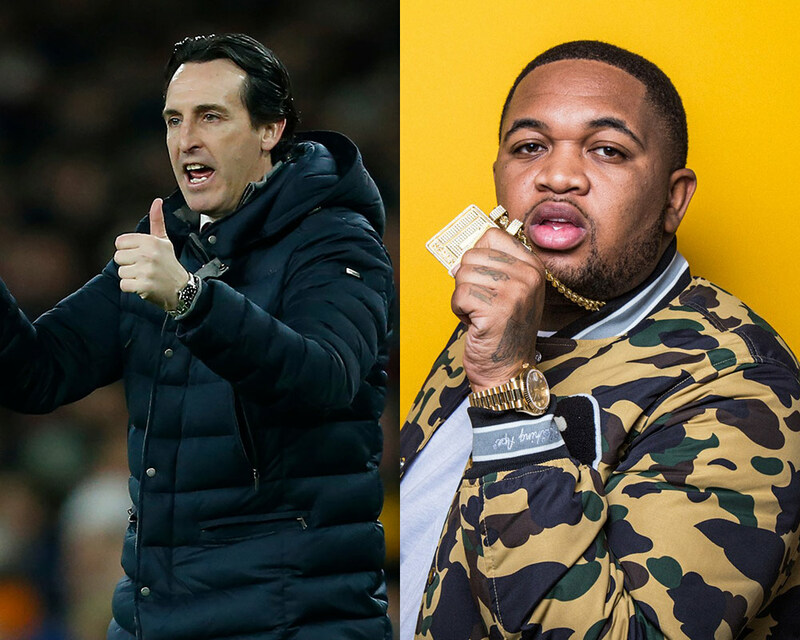 The 2018 Arsenal move, though, reinvigorated both club and manager, and Ella Mai’s “Boo’d Up” proved that DJ Mustard was back in a major way. Occasionally, when an errant ball finds its way to the technical area, a manager gets a chance to show that they can still ball. Pochettino took to the F2 YouTube channel to give us a little more proof. Like J. Cole, it’s difficult to say if Southampton’s former boss is more player or manager. 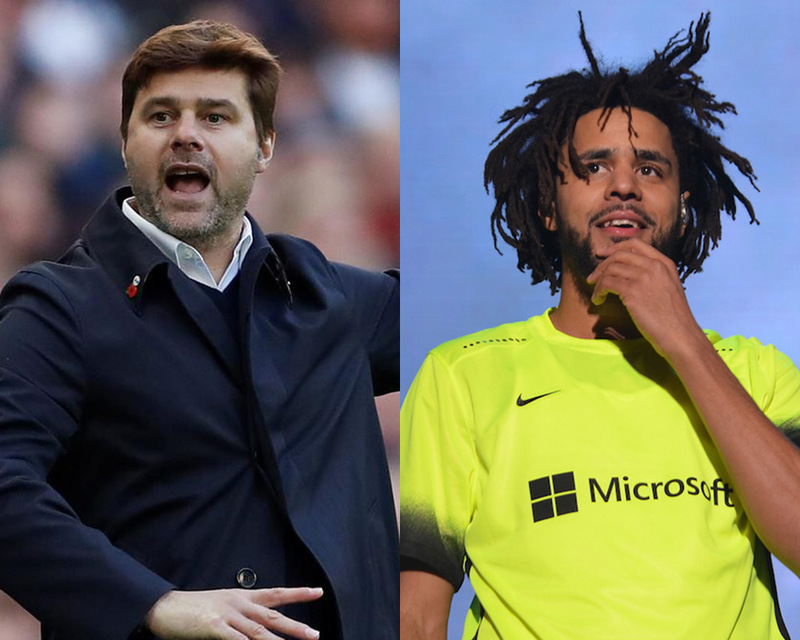 And like J. Cole, Pochettino’s focus is always inward and upward. The Internet won’t let us forget that Cole went platinum with no features, and I can imagine Poch would do the same if Tottenham were able to hoist the Premier League trophy this year. Although his lack of summer signings will continue to be criticized after Harry Kane went down injured, the North London boys have found unprecedented success in the last few years, all while making €5 million in profit on the market since 2012. 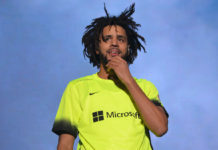 Cole’s Dreamville label shows the same dedication to nurturing young talent, and both organizations have flourished as a result of this self-made approach. 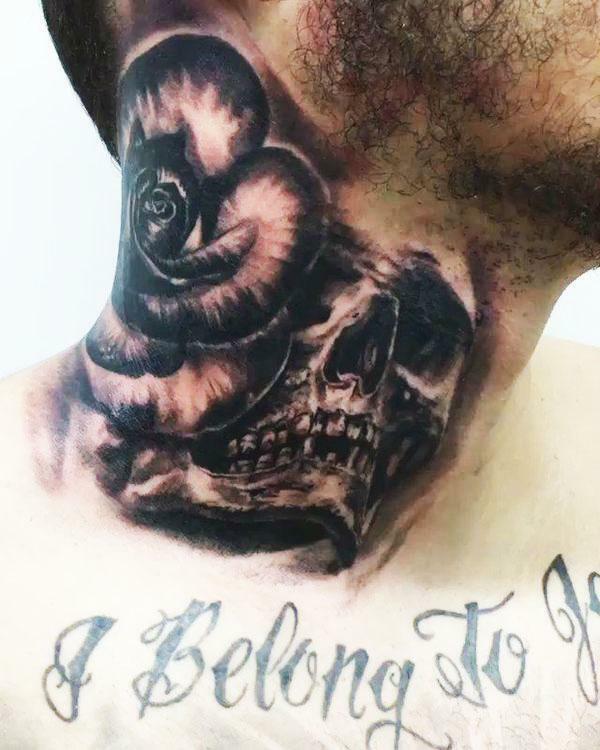 If world football was Ederson’s neck, Pep Guardiola would be the tattoo artist. The meticulous mastermind behind Barcelona, Bayern Munich, and now Manchester City has forever altered the fabric of the sport. As a result, his producer counterpart needs to be another living legend. Enter Madlib, an artist whose sound is as uncompromising as City’s game, and who touts Guardiola-esque longevity and influence. His J Dilla collab Jaylib was Pep’s Barca, his Madvillian tape Pep’s Munich, and he’s always pushing his art to new levels by working with the best in the game. The work of each is so pure, so potent, and so congruent that it can be seen in things they’ve never touched. It’s no longer about success for either, and perhaps never needed to be for talents like Pep and Madlib. Instead, these visionaries are leaving us a legacy, a body of work that we should revel in now and will enjoy for years to come. It’s too early to tell, but we’d love to hear what you think. 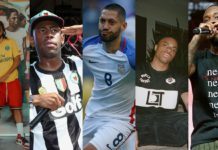 Let us know in the comments — which hip-hop producer do you think best represents the super-sub-turned-Manchester-United-ego-boost?